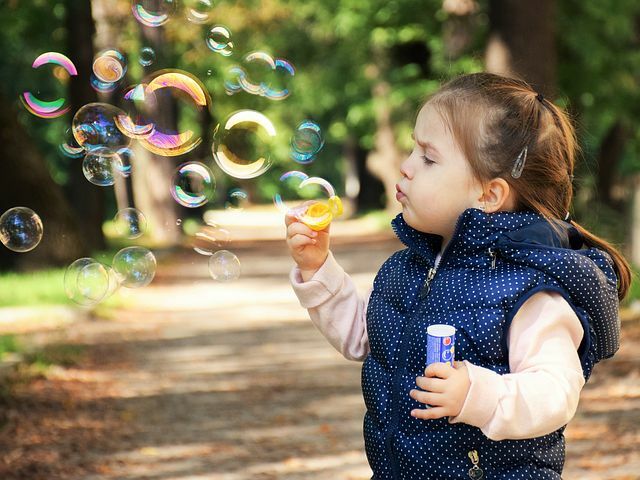 Children are so susceptible to the stimuli found in the world that their first few years are full of crucial developmental stages that need to be nurtured for them to become healthy, happy adults. Before they attend school, kids are already beginning to learn from their surroundings and make perceptions about their lives, whether they can articulate these or not. Since formal education cannot begin at birth, young children must find other ways of learning so as to prepare them for the challenges they will face as they grow older. As a parent, you can guide your kids on this journey by playing with them and encouraging their inquisitive spirit. Here are some helpful ways you can teach your child through play. Many elementary schools nowadays have a dedicated garden area for children to play in. Separate from the playground, this space usually offers a more specialized insight into how nature interacts with itself and how the child should behave in their environment. This is why it is also important for your child to experience nature at home, if possible. Growing plants together is a great way of teaching them about biology and how to care for something living. Farming and growing crops will always be an important part of life, so helping your kids understand where their food comes from is sure to help them see the world more clearly. If you feel like showing them how plants become food which becomes a meal, why not try one of these light deprivation greenhouses to control how much light your plants receive. This means you can teach your children all year long while feeding them healthy, home cooked meals that they’ve helped to grow. A subtler outcome from this is that your children will be able to see how actions have consequences, such as taking good care of a plant means it will survive while neglected plants die and provide nothing. Many children beg their parents for dogs and cats – gardening with your kids will give them the chance to show you how responsible they can be with another living thing. Watering cans, rain boots and digging in the yard are all fun ways of playing with your child while letting them explore the great outdoors. Sometimes chores and errands get in the way of fun, both for children and adults. No parent looks forward to taking a bored child to the supermarket, and no child eagerly anticipates being led around with nothing to do all day. Turn these boring trips into a game that can keep your kids interested and entertained while also teaching them more about their surroundings. Giving them responsibility with the shopping cart and trusting them with your grocery list are just a couple of examples that will boost their pride and encourage them to behave like grown-ups. Playing as adults helps children form patterns of behavior in their head that inform the kind of person they will become. When a baby imitates its parents by babbling into the phone, it is making the connection between the object in its hand and the act of speaking. The world is full of opportunities for kids to add to their vocabularies, especially when out and about. By hearing you talk about groceries or cars or people, your child will pick up the patterns in your speech and the forms of the sounds you make. This is why learning languages as an adult is much more difficult – you are not thrown in to the deep of the experience. Play with your child by asking them to count objects of a certain color or find ten things that begin with a particular letter. Toy tills, houses and cars all teach your child about adult life. As mentioned before, nature is a great teacher. Animals in particular are vast wells of information that can tell your child much about the world. For example, a bee sting will teach them to avoid danger, while a playful dog teaches them about boundaries and being gentle. Visit a petting zoo for a fun day out and ask your children to remember the names of the different kinds of animal. If you can afford to and have enough time, maybe bring a pet into your home so your child can experience the responsibility of caring for something alive and conscious. Pets are good for teaching empathy and kindness as they respond to your child’s actions without agenda. There’s hardly anything more fun than having a pet as a child.